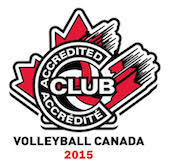 The Maverick Volleyball Club has had a dramatic increase in the number of teams over the past 5 seasons where in the 2013/2014 season we had 22 teams competing for the Club. We believe that we could have had another 4 teams had we had available and qualified coaches to coach those additional teams. The Club offers teams for both genders from 13U to 18U and offers two types of programs, High Performance and Competitive teams. High performance teams start at the 15U age group for girls and 16U age group for boys. We also run Competitive teams in parallel with the High Performance teams. Plan for the types of teams stated above annually and changes in each specific year will be communicated during the try out period. We may not offer the second, third or fourth team at all age groups. The chart below simply demonstrates what the Club will do in case there are up to four teams in a particular age group. · Field a team of the top 10-12 athletes in the birth year. o The top 7 athletes and the remaining 3 spots will be offered to athletes with high potential but have less experience. · Field a team of the next rated 13-24 athletes in the birth year. · Field a team of the athletes rated 9 through 12 in the birth year and the remaining spots will be offered to athletes with high potential but have less experience. Depending on the number of teams at the age group the teams will be selected based on ability and potential. With COMP 1 having more experienced athletes than COMP 2. Introduced at the 14U Girls and 15U Boys levels where athletes who demonstrate abilities and potential for the full HP program in the future.